“This club is brilliant, I am so impressed with today”. This was the quote from an ex airline pilot who had been on one of our courses and had stopped to help out with our open day and dawn to dusk. We started the day with a delay because of the weather but as soon as it cleared then Orch was able to take off at 05:30 and in the evening he had the last flight and landed at 21:36. From 08:00 we welcomed the public and flew, in difficult conditions, over 80 people. The organisation of the day was tremendous, at one point there were 60 members present in the club or on the field quietly and efficiently processing the candidates and their family and friends. Even when the weather deteriorated and we had to pause there was no dissatisfaction from the public, they were so well looked after. 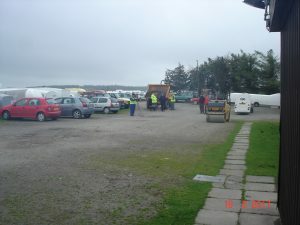 The day attracted much interest, some course bookings and many people wanting to return and use their temporary membership. In addition the members themselves enjoyed themselves and took a great pride in representing their club. There were so many that it would be impossible to name them all but we must thank the 3 organisers, Mac, Sarah and John Randall for superb planning, marketing and organisation on the day and the kitchen for making the end of the day so enjoyable as well. We have suffered too many winch equipment failures since the start of the season and this is distressing to all of us. We obviously need some help and we are seeking it as quickly as we can. On the positive side, Julian Fack has created a superb vehicle recovery fleet and we are seeking to consolidate it so we do not suffer when one of them fails. Julian has nearly finished the gas tank conversion in the blue Vitara, then we can be confident of the work required for the others. Paul Fowler has taken on board the excellent feedback and has created a new folder for logkeeping. Please can you use this and let Paul know what you think. This is an experiment and we are anxious to have your feeback. The system is designed to work in all weather conditions so please let us know the conditions you used it in. Let the office know how you get on and they will pass the feedback to Paul. Saturday: Simon Adlard, Denise Hughes, Stephen Alexander, Liz Adlard. I have an entry at the Shenington Regional which starts this weekend, 1-9 July, but now find I am unable to attend. Is anyone interested / able to take my place? Whilst checking on the Club and 18m Nationals at HB, I noticed they were linking to a Flarm Tracker that I had not seen before. It seems quite a bit quicker to respond than glidernet, gives you little glider and plane icons, a height trace for any target aircraft and the ability to superimpose airspace and a task on the map, to name but a few! PS – You’ll have spotted that the XC Wx predictions for tomorrow have degraded significantly since yesterday’s post – still some possibilities pm hopefully! Saturday’s forecast is not exactly what we might have chosen for the Open Day, being somewhat “cosy” in the headroom department and with the possibility that a few of the clouds may possibly leak slightly at times. However, I’m sure we’ll all make the very best of it and give our visitors a great time. Sunday’s looking more promising XC-wise, although the models still can’t agree even on which area will be best. The local task will be MYN-CNN-BCS-MYN with a barrel size chosen to match your experience and your confidence in the day, on the day. … So, whose turn is it to set the XC tasks this week, chums? Hi everyone, this is the regular Thursday posting to let you know what is coming up in the near future and highlights of the last committee meeting. A really BIG thank you to Dave, Nigel, Steven, Roger and Mark and Joan for all their efforts at the Welshpool airshow. It was a huge success because of their enthusiasm and efforts on the day. We were able to make 16 calls as a result to people who expressed interest. We welcomed another group of ATC cadets last Saturday with squadrons from Dudley and Stourbridge. It was a hot day and some members kindly found spare sun hats to give the cadets some protection from the scorching sun. A light westerly wind and weak thermals off the ridge ensured that the visitors all had soaring flights under the inversion. Matthew Cook and Paul Fowler were kept busy all day flying the cadets in the K21 and K13. 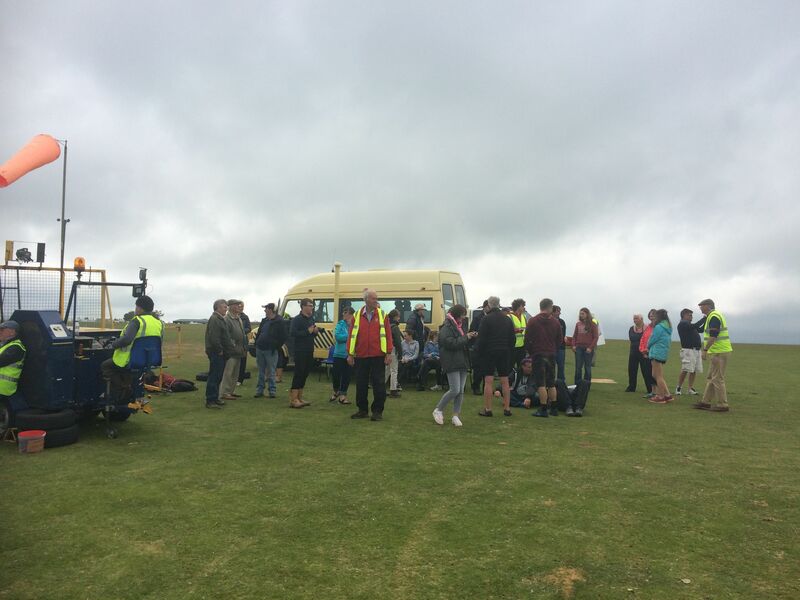 As with the previous groups, the cadets keenly assisted with airfield operations and contributed to an excellent day for both them and members. They all thanked the members for the opportunity to fly and left promising to return. Thanks to Clive Crocker as Number 1, John O’Reilly as Launch Director and other members who all ensured the cadets were given ground training and looked after when not flying. We have sold Romeo 1 and got more than we expected for it, Marc is now preparing Romeo 2 for sale. Thanks to everyone who responded about the log sheets, there were some really good ideas and Paul Fowler is coordinating the responses and will propose any changes which will make our logging more robust. You may have noticed that we now have the launch point cones separated by “standard length of rope”. This was first proposed 25 years ago and has now come to fruition!! Saturday: Neal Clements, Guy Hartland, Peter Orchard, Mark Wakem and every other instructor who would be willing to volunteer. We will have 4 2 seaters and we have 90 people to fly as well as members so please come along and help us. On Sunday it will be Alasdair Lewis, Denise Hughes, Peter Orchard and Dave Cole. Many of you have volunteered to help, thanks very much indeed for that. The interest has been overwhelming, the marketing has meant the phone hasn’t stopped ringing and we have 90 (as at Wednesday) coming to fly. It will be busy, it will be fun and above all it will give us the chance to recruit. It’s not too late to volunteer, if you don’t want to commit to half a day or more then ask the office to put you down for an hour slot, anything at all will be welcome. Highlights of the committee meeting held on the 9th of July. ATC: The visits are taking place now on a regular basis. Strategy: The July meeting will concentrate on the finances in depth, the September meeting will be attended by staff and associated business stakeholders and the resulting way forward will be offered to members for discussion in October. K21 aerobatics: The K21 needs some work on it for it to be used as a fully aerobatic aircraft. This work will be costed. Data protection: The new Data protection act is to be examined to see what changes if any we have to incorporate into our systems. Retrieve winch positions: We will initiate a project to have “standard” positions. With conditions better than predicted, the Pundit Task was extended to 312km (MYN-SENnybridge-PENdock-OSWestry-MYN). Rob (LJ), Dave and Rod (494), Walt (493), Paul (445), Dave Rance (TL), Julian & Mark (JF) and Darce (288) all set off on task, most getting round with some of the later starters missing out the final turnpoint and coming straight back from Pendock. Hopefully you’ll see all these flights on the Ladder. Whilst we are congratulating, I am pleased to be able to report that this week John Kingsley completed his Silver badge with a five hour duration flight, and Geoff Dailey gained his Silver height. Sunday Tasking – Light winds – Good for Wood! Weather: Blue to start, hopefully some Cu by noon, starting to the SW. Light winds 5-10SW. Cu base rising to 4500. Very hot (to 27C). Models not too happy with late afternoon – perhaps it just gets hot and stable. Expect High Cockpit Temperatures: Remember hydration, hat and sun-screen. Ah, warm and sunny with light westerlies! For training and general flying, it’s going to be good all day, both days. If you’re after a bit of XC, then Sunday’s the day. Too early to suggest possible tasks, but I reckon you’ll need to make sure you’ve packed some sandwiches! The Club will be running a summer camp for junior members from 31st July to 4th August, and all junior members are invited to join for just one day or all week. Please call the office to book a place. John O’Reilly has produced a document to help us decide on which projects are going to move us forward. It incorporates the information that came from the members’ survey. We are just getting the financial implications to slot into it. Then we’re planning a Sept meeting with the staff to input on the nature and direction of the club. Then in October we will have the meeting that we promised the members, where we present it all. By the end of June each year, we should have a good idea of 80% of the year’s finances (and membership). Members and visitors should notice a big improvement to the road surface as all potholes have now been filled in. IMPORTANT: Considerable care will be required to avoid damaging the new surface until it has had time to bed in and bind properly. PLEASE ensure that you drive slowly and very carefully along the road and take extra care when crossing repaired areas with gliders, vehicles, winches etc. 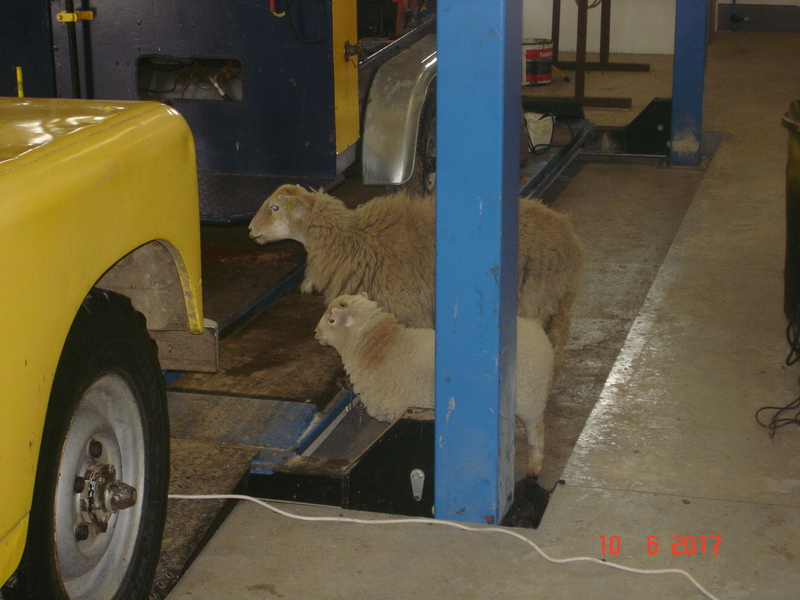 Methods are in hand to stop the sheep contamination of the new workshop and club premises , watch this space . The road to the south end is now under observation and should be made acceptable to glider transfer to the south launch point in a smooth and reasonable manner. So far we have relied on a small number of people who have worked very hard to achieve this work done, so please can everyone please put their back into work to be done, it is your club so please if you see notices of work to be done please help . Wing holders please remember to hold the trailing edge of the wing during a launch, if you hold the leading edge there is a risk you can hang on to the wing which will swing the glider. Remember that if you feel a significant down force on the wing you are holding, stop the launch. This is the best way to avoid wing drop accidents. A reminder that the club policy on minimum safe approach speeds is that it is the minimum approach speed of the glider (some gliders have a yellow triangle on the ASI to denote this), or 45 knots plus the wind speed, which ever is the greater. Sat 24th June – Recruitment drive and the longest day We must get new members for the club to thrive, and this day is a vital part of that strategy. Neal Clements will be number 1 for the day, we will have a briefing the night before at about 18:30 if you are around and also at 08:30 in the morning. Please can I ask you to volunteer, Mac has done a fabulous job in getting volunteers but we need more, especially at the welcome point. You only have to do an hour, no more, please email or call the office and we will add you to the rota. Also, if you know of anyone who may wish to come along, do encourage them to come & preferably to book their flight slot in advance with the office. 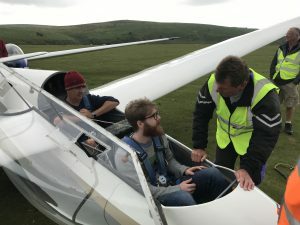 Here’s how we’re approaching it: “If you’ve always wanted to learn to fly, please join us for a Gliding Taster Day on the Longest Day of the Year. We will be flying from 5am until sunset around 10pm! Bookable flight slots £25 Experience flying over beautiful Shropshire & Wales at dawn or dusk. 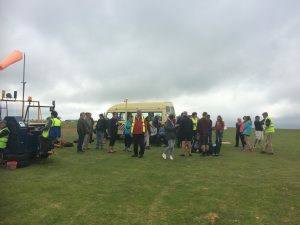 Discover what gliding is all about:- Gliding talks & presentations Guided tours of the airfield, clubhouse and facilities Meet all the members, staff & volunteers (we’re very friendly & don’t bite!) 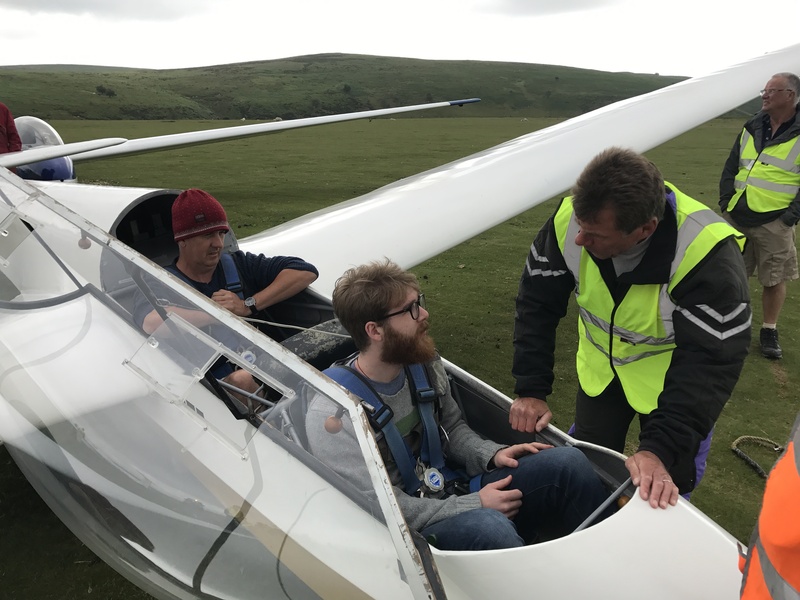 Find out if gliding is for you Special deals & offers available on the day for those wishing to become members REGISTRATION & PRE-BOOKING ADVISABLE, although you can also turn up on the day & we will aim to fly everyone! To book a flight slot for you and your family or friends, please contact Martin on 01588650206 or office@midlandgliding.club In addition we want to increase the activity and the interest for members. Years ago we used to run a “dawn to dusk” day and we are going to combine the two. It is fantastic fun, we run in shifts and do “shedloads” of launches (or words to that effect). Flying starts at 5am and continues until 10pm. Please drop Neal an email at chairman@midlandgliding.club if you would like to help out for a shift, everyone is welcome and I guarantee you will have a great day. 8th – 15th July – MGC Wood Week Roger is leading this year’s Wood Week, which is an opportunity for all gliders particularly those of the wooden variety to get together, admire their beautiful aircraft, and to take part in various “Enterprise” type tasks, either cross-country, height gain, or other fun things like spot landing competitions. It’s always a colourful event, so would encourage you to come along. Equally, if you know of anyone from other clubs who may like to join us, then please let me know & I can email you the poster or further details which you can pass on marketing@midlandgliding.club. 21st July – Glide Britain There is a possibility that we may host filming team for Glide Britain, who are creating a suite of UK-wide marketing materials & resources, which we hope to tap into to broaden our scope & reach for marketing & promotion. A small part of this includes creation of a short film showcasing different elements of gliding found at various clubs throughout the UK. Please do say hi & make them feel welcome. We may also need a couple of volunteers / characters(!) 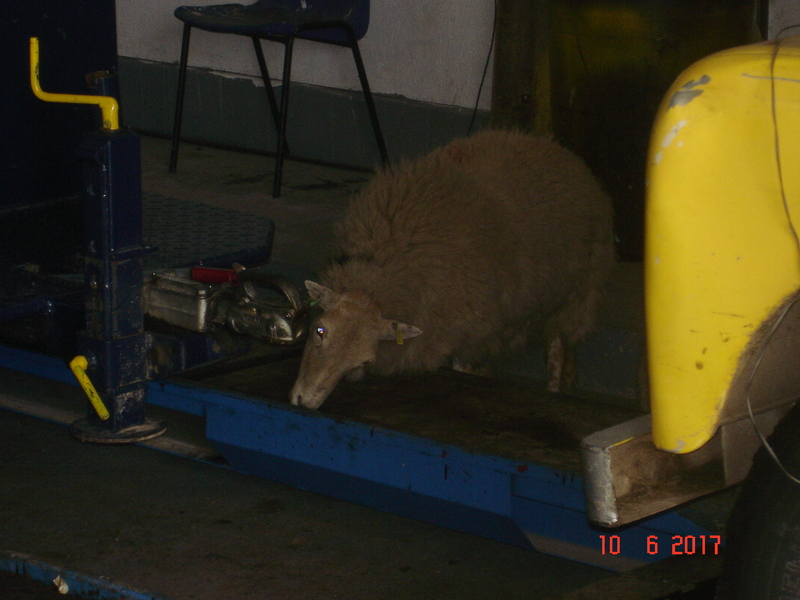 to speak with them on the day – more details to follow. 19th-27th August – MGC Task Week (party on 27th) If you’re planning on coming, please book in so that we can start to know numbers. And if you know of people who may wish to join us, please do ask for the info/links (being set up at the moment) so that you can share it with them. This year we are going for a different format with tasks being set inside themselves (wait for it). For example a 200 k task may contain a 150 , a 100 and a 50k task. This way any aspiring badges eg Silver can be accommodated in the same conditions as the bigger tasks. More details to follow but book the week now, the fields are terrific, the organisation is even better and you will make significant progress with guaranteed retrieves and a lot of fun. 23rd Sept – Farmers’ Thank You Supper See above for info. A great opportunity to thank your farmer, showcase the club & build our reputation as generally friendly folk, all at the same time! Trustees how a Silver “C” qualification would help them in their own personal development as well as helping them with their careers in gliding. The models are quite optimistic about tomorrow (Wednesday) to our south in 10-15S, but it will be late starting and under top cover, so my top tips would be to have patience and stay high! Suggest you go south until your nerve cracks, then drift home on the breeze! Thursday through Sunday – a run of variously 15-25W, perfect for some ridge fun. All the pieces are forecast to be in place for a bit of wave too – low inversion, wind increasing with height, gentle anticyclonic curvature to the isobars, and a few breaks in the cloud (hopefully!) to give you a sporting chance of actually getting into it! Either use RASP’s hi-res model run the night before, or a pin, to select your day. Anyway, make the most of it, because next week there are suggestions of Easterlies – and you know how much we love an East wind at the Mynd! Don’t say no-one told you! 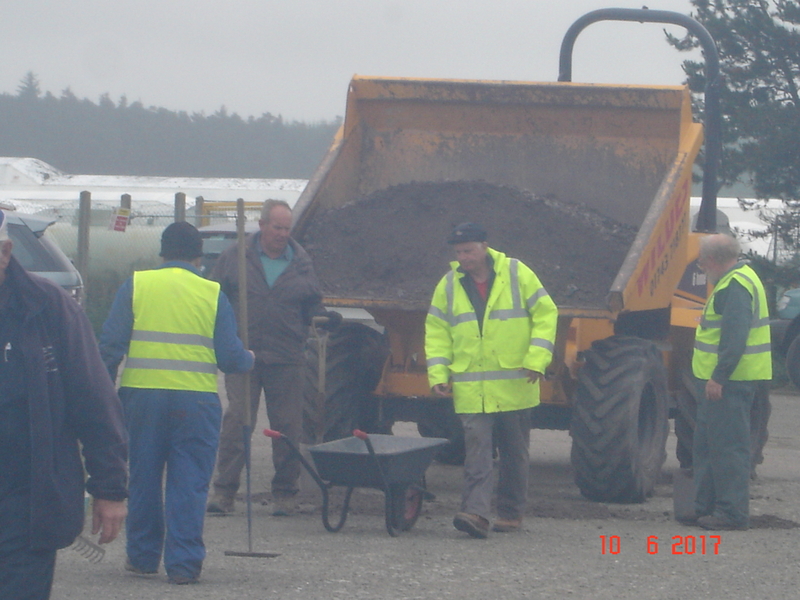 Mynd members turned out in force again to help with the road re-surfacing works Friday 9th- Sunday 11th June. Tim Mason, Charles Carter and Howard Bradley lead the operations helped by many a member and should be thanked by all. The chairman was even seen with a camera in his hand and I’m sure has better pictures than me. The weather wasn’t as bad as the camera makes out, but it was close! I also found Mark’s pet sheep in the new MT shed! Hi everyone, this is the regular Thursday posting to let you know what is coming up in the near future. There might not be an issue next week, I am working on it. Welcome to Ben Harris and Andrew Rands who have joined us, please ensure you make yourself known to them and help them move forward and take advantage of everything our wonderful sport has to offer. We have developed a range of products which members may be interested in. These are package-type products, which mean that you would be able to pay a fixed amount, which then entitles you to all the training you need to reach a certain level of training plus you also get discounted launches/flights, a dedicated instructor allocated to you to help you, and anything else you may need so that you achieve your goals. Convert to Gliding – everything that a power pilot/hang-glider pilot/etc would need to achieve solo in a glider. We’ve added another web cam and weather station to http://www.midlandgliding.club/weather-information/. This is a Long Mynd Soaring Club station, located at Sarn, and might be of interest for showing the sky a few miles from the Mynd. It points WSW. Wind strengths etc. will be pretty accurate in in WNW – NE, and S – SW. It massively under-reads in an East or SE direction. You will have seen the post from Mark earlier in the week. We have been so privileged to be able to run 2 of these courses this year and we would like to thank Kevin Atkinson who is absolutely tireless and enthusiastic about cross country gliding. For those of you who attended and for those of you who would have liked to then book task week (see below) in your diary now. We are going to make it even more “early cross country” friendly than before. Repair works to the access road are due to start on Friday (9th June). This first phase is a trial of the repair methods and will involve resurfacing the particularly badly potholed section of road around the two bends to the East of the hangar. A mechanical excavator, dumper and vibrating roller will be on site on Friday and throughout the coming weekend. Access to the club will be maintained but will involve a diversion around the work area. It may be necessary for members to drive on the grass for a short distance. Please drive slowly and carefully to avoid damage to the grass, especially if it is wet. Every effort will be made to avoid disruption to flying or to other club operations. IN THE INTERESTS OF SAFETY. Unless you are directly involved with the work, PLEASE keep away from the machinery and materials and remain outside the work area at all time. 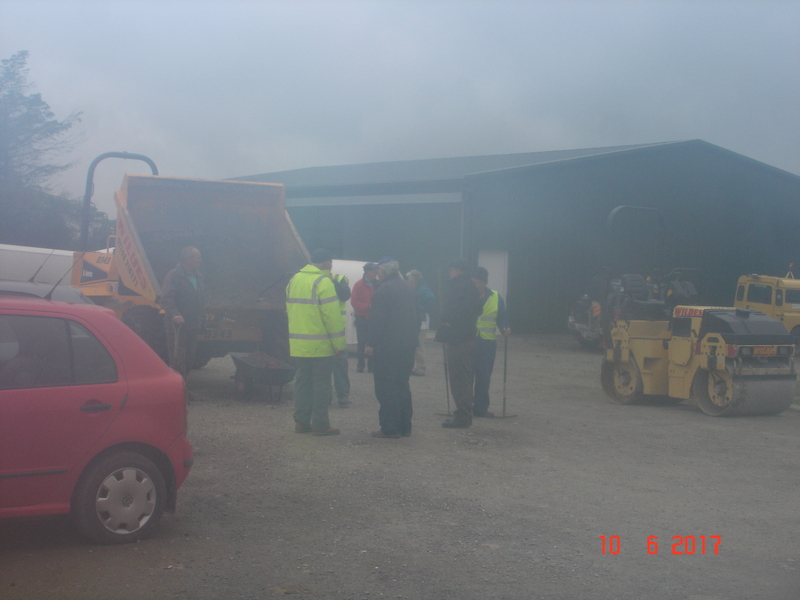 It is important that you treat the newly laid surface with care, particularly in the first few weeks. Please drive carefully and slowly. Your patience and co-operation would be appreciated. Neal Clements, Nigel Lassetter, Denise Hughes, Geoff Dailey, Dave d’Arcy, Chris Alldiss, Mark Sanders, Tony Dietrich. Our current log sheet holder is not fit for purpose, the Mynd can be quite hostile to uncovered paper (its even worse with electronic devices). If anyone knows of a stormproof system (not involving a vehicle) then could you drop me an email below please. We are legally obliged to log our flights and in some conditions this is extremely difficult with our existing clipboard. We must get new members for the club to thrive, and this day is a vital part of that strategy. Neal Clements will be number 1 for the day, we will have a briefing the night before at about 18:30 if you are around and also at 08:30 in the morning. Please can I ask you to volunteer, Mac has done a fabulous job in getting volunteers but we need more, especially at the welcome point. You only have to do an hour, no more, please email or call the office and we will add you to the rota. Also, if you know of anyone who may wish to come along, do encourage them to come & preferably to book their flight slot in advance with the office. The Club will be running a summer camp for junior members from 7th to 11th August, and all junior members are invited to join for just one day or all week. Please call the office to book a place. Following on from the Theory in March, the Aim Higher Flying course ran this weekend. Once again Kevin Atkinson was on hand to educate and inspire us with his excellent presentations, then we had the opportunity to put the theory into practice. Saturday’s task took us to Bromsgrove, then Monmouth. Unfortunately the weather closed in on the second leg, so we all tried to scurry back home. Half a dozen land-outs gave us plenty to talk about in the bar that evening, (particularly the one into the potato field) but they were all safely executed. Sunday was full of promise, but the “odd shower” ended being rather more persistent than any of the weather models had predicted. By 4pm we had given up and put the winches away when the sun came out and the Cu started to pop! You have to admire the duty team (Orch, Ed and Simon – thanks guys) who cheerfully set the field up again, so that the two gliders that had not yet de-rigged could take a launch. The conditions proved excellent and both managed to complete the 70km training task that had been set at the morning briefing. An object lesson in remaining optimistic and taking the opportunities as and when they arrive! Sadly the weather models were spot on with Monday’s forecast – wet and windy. Kevin revisited some of the course topics; thermal structure, routing and decision making, flying final glides, use of water ballast and block speeds. It was always the intention to use this course as a springboard to create our own “Aim Higher” syllabus for the club, so there was a discussion session for this. The detail has yet to be decided, but the purpose is to teach any post solo (and beyond) pilot the techniques they will need to become better soaring pilots, to build skills with dual learning and solo consolidation so that they have the confidence to venture further afield when the time comes. If you are interested in taking part in Aim Higher at the Mynd, then contact me or the office. All being well, the first section of repairs will be carried out between Friday 9th and Sunday 11th June. This first phase is a trial of the repair methods and will involve resurfacing the particularly badly pot-holed section of road around the two bends to the East of the hangar. 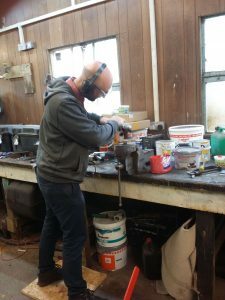 Please can all those members who have volunteered to help please confirm (a quick e-mail to the office should suffice) to let Tim Mason know if you are available during those dates? Tim will publish more detailed information during next week. Land-out packs are now available in the office. Please pick one up before you head off. If you are lucky enough to land in a field however far away, we encourage you to give the pack to your friendly farmer. It contains an invitation card they can send us, so that we can invite them to the Farmers’ Thank You supper, which will be held on 23rd Sept. (No need to buy a pack – just collect one from the office & you only pay for their meal if they turn up to the supper!). We have the Aim Higher course running so, even if you’re not on it, this is a great opportunity to come along and learn something new. Your team this weekend is: Clive Crocker, Matthew Cook, Simon Adlard, Charles Carter, Pete Orchard, Dave Cole & Laurent Couval. The weather hasn’t quite decided if it’s going to be pleasant or wonderful so bring your shorts, T shirts, sun cream & a light shower-proof coat. We must get new members for the club to thrive, and this day is a vital part of that strategy. Neal Clements will be number 1 for the day, we will have a briefing the night before if you are around and also at 08:30 in the morning. Please can I ask you to volunteer, Mac has done a fabulous job in getting volunteers but we need more, especially at the welcome point. You only have to do an hour, no more, please email or call the office and we will add you to the rota. Also, if you know of anyone who may wish to come along, do encourage them to come & preferably to book their flight slot in advance with the office. If you’re planning on coming, please book in ASAP so that we can start to know numbers. And if you know of people who may wish to join us, please do ask for the info/links so that you can share it with them. This year we are going for a different format with tasks being set inside themselves (wait for it). For example a 200k task may contain a 150k, a 100k and a 50k task. This way any aspiring badges eg Silver can be accommodated in the same conditions as the bigger tasks. More details to follow but book the week now, the fields are terrific, the organisation is even better and you will make significant progress with guaranteed retrieves and a lot of fun. Here is the photo we forgot to add last week, of Mark Williams working on the trailer – which is not quite finished yet.